A SUCCESSFUL entry into a YouTube competition saw 15-year-old Jack Blandford playing alongside Grammy award nominee Joe Satriani at the Queensland Conservatorium of Music on Monday night. From the age of seven, Jack began playing guitar. Then recently, after entering the competition in which musicians would upload a video of themselves playing along to one of Joe's songs, young Jack was chosen as one of the three winners. The prize was one the talented youngster, from Yarwun, will never forget. Jack said it was an incredible feeling being able to play with someone who is internationally recognised for his style of guitar playing. "In short it was incredible," he said. 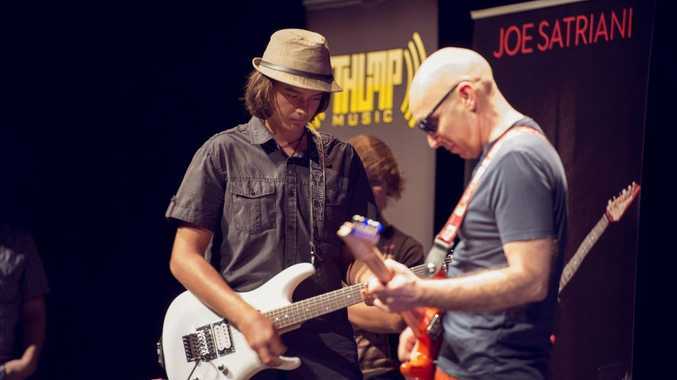 The jam session was held at the Brisbane leg of the masterclass tour, which Joseph "Joe" Satriani is currently on. The American instrumental rock guitarist is well-known in musical circles. Performing among some of the most prominent musicians around, Jack recently played at the 2013 Bluesfest in Byron Bay. He said it was the best musical experience of his life. 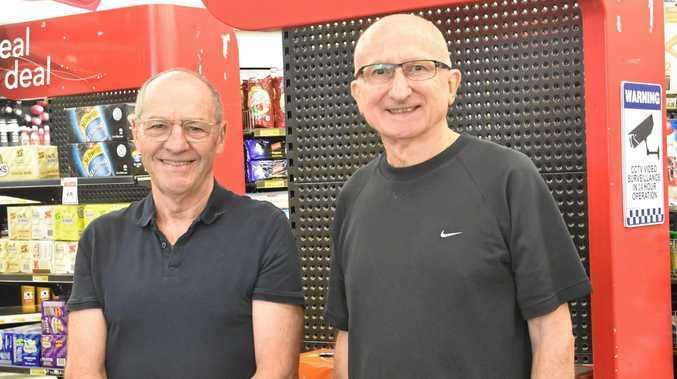 Jack said most of his gigs are near Agnes Water - a location that may be home to the young guitarist in the near future. "I want to be doing what I love, playing music to people."